Spacey, dark, doom-ridden chords appear from nothing, droning and orchestrating string section like, forming the beginning of a treacherous ascension into the blackness. Meanwhile, below in the abyss tension mounts. Intense and somber the weight begins to close in around. Haunted and unforgiving, yet it never seems to change tempo. I hear a shudder! A heavy guitar chord strike sustains and rings for all that its worth, only to be trashed again and again, in Death March tempo for all eternity. DONG……… DONG……… DING. DONG. DANGGGG. ……. As Death tolls his guitar! Zaxanin and Calzirg from two of the four watchtowers enter the threnody with a sound akin of coffins being nailed shut. And, as the hammerings and thuddings that bruised the heel of Christ they beat the Death March to feed the flames through the tunnels of Typhon. Where they weave the Earth with dryness and behold with the sound of one grunting in homage to the rejection of the race, or disassociation with some form of order. DONG. DING. DAANNGGG…. Images of metal flow! Not thrash or death. Is it doom? You tell me! DONG. DANG. DIINNNNGGGG…. Hell is relentless but I find it warm and comfortable…. At least we can smoke here eh! 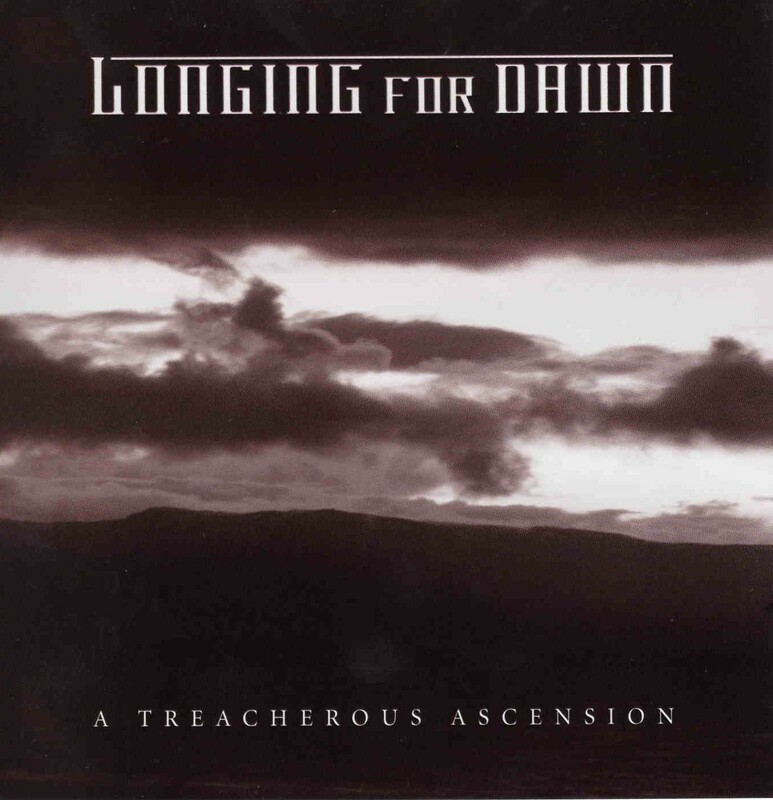 I think that Doom could be the term for Longing For Dawn’s music. Not a big Doom listener myself, as I prefer Reign in Blood above most metal, but I do like this for the fact that it is hypnotic and spacey as well as being full on. Nothing like Slayer and I do not know names for reference points so listening is the only way of knowing. Repetitive and rarely shifting from the one tempo throughout, the four songs on this CD offer much the same style to the end as they begin. But that is no bad thing because it lasts just right because if there were more to it you would probably get sick of it. It is not overdone and at least there is only one track that is under ten minutes, so that is another plus. Good production, couldn’t understand the grunting, but thankfully they were not prominent in the mix. DONG. DING DAAAANNNNNGGGG. Worth a listen! Turn that grief into music!